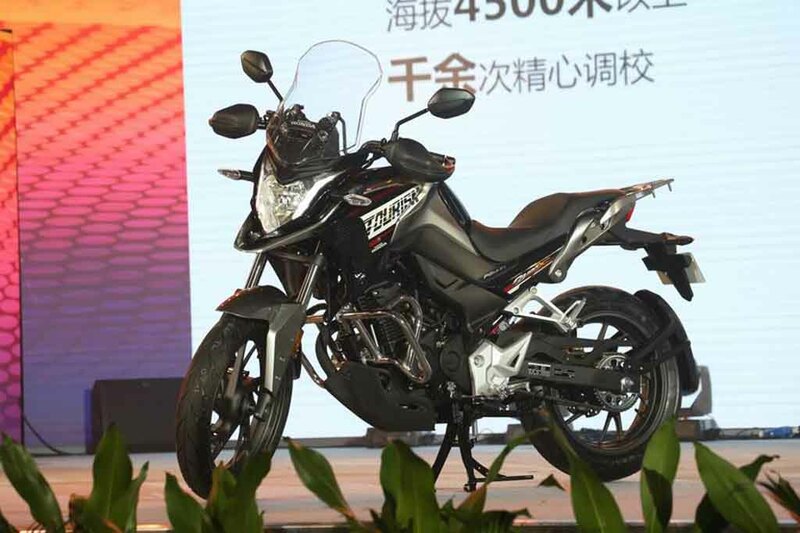 Honda has unveiled its new adventure bike CB190X in China. This bike is based on the popular CB190R that is marketed in the country. 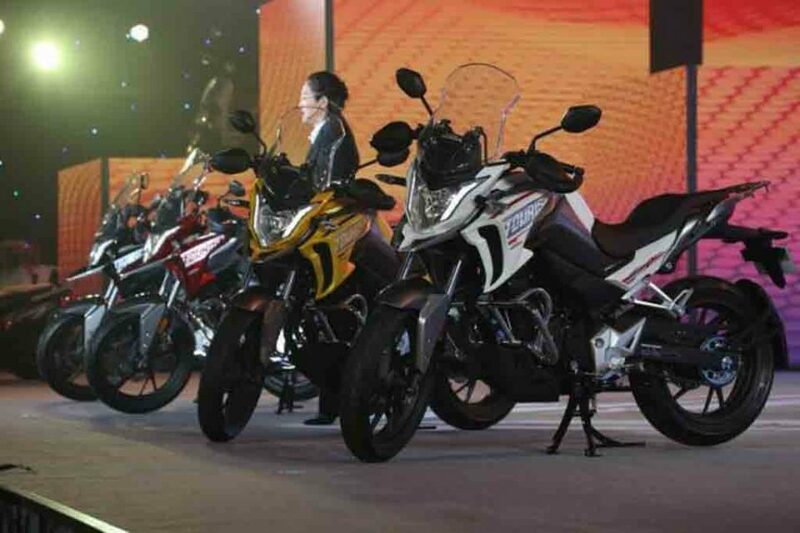 A product from the Honda and Wuyang joint venture, the sub-200 cc model is expected to lure a large number of young customers who seek an adventure bike at an affordable pricing. However, this bike is very unlikely to arrive in Indian market. The adventure bike comes with an aggressive and sculpted appearance. It gets a sharp headlamp with integrated LED daytime running lights. The beak like front cowl and long windscreen make this machine visually appealing. It gets a sculpted looking and muscular fuel tank. The rider seat is lower positioned to offer greater control over the bike. The pillion rider seat is stepped up and there is a grab rail and a rear carrier for carrying luggage as well. The taillight too appears sharp looking. Apart from these, the adventure bike also gets engine guard, crash protection for the motor at the bottom. Overall, the bike shares several components and design elements from its naked sibling CB190R. Thanks to the impressive ground clearance the bike is capable of taking the challenge of rough roads. On the powertrain front, the Honda CB190X is powered by a 184 cc single-cylinder, air-cooled, fuel-injected engine. The engine is capable of churning out 15.4 bhp of peak power at 8,000 rpm. For stopping power, the bike relies on disc brakes on both the wheels and for suspension duty it gets telescopic front forks with long travel. The all-new CB190X adventure bike gets several off-road kits. For the Indian market, the Japanese two-wheeler manufacturer is currently working on a new model that will take on the Royal Enfield Classic. 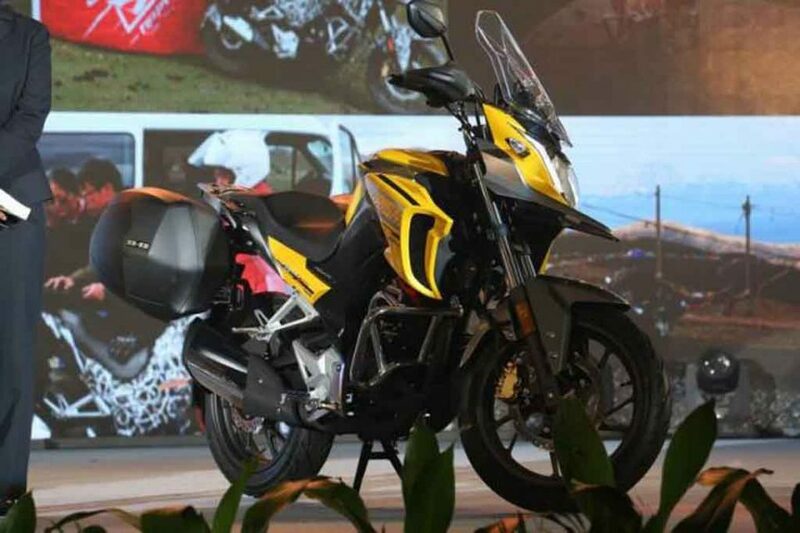 Also, the brand is aiming to become the number one two-wheeler manufacturer in the country by 2020. For that, the two-wheeler maker is relying on new and premium products.